Mamma would sound the cow bell, “Children! Dinner’s ready!” The four of us (ok, well maybe not my little brother Sebastian) would clamber up onto our chairs chanting “Little fish! Little fish!” The tails were like chips, the best part! 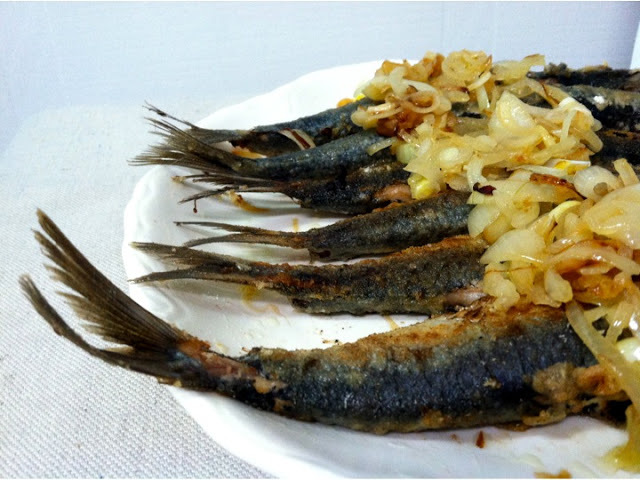 I know, few little kids get giddy about fresh, fried sardines. 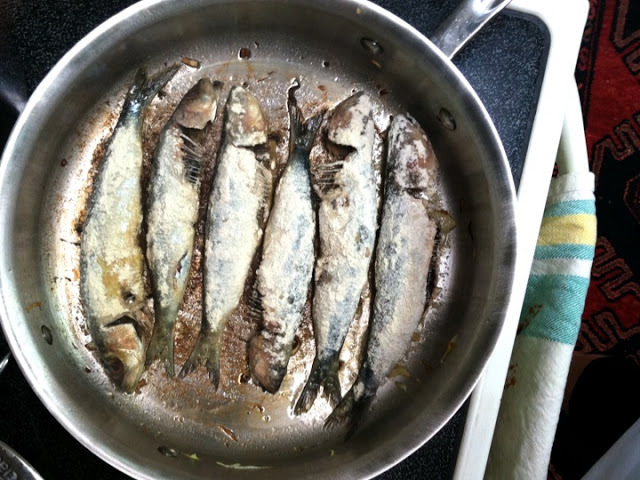 Sardines in a can is one thing, but fresh, stinky, bony, slimy fish? Pee-eeuu! In fact, it was the canned sardines we detested, which Mamma would mash into a grey pulp, dress with lemon juice and smear on whole wheat bread for our school lunches. 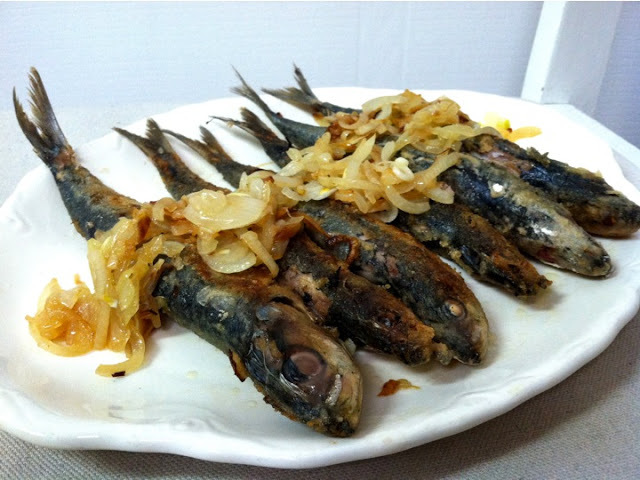 Commonly eaten in the Mediterranean, sardines are often bypassed in the U.S. But this superfood is packed with protein, vitamin B12 (healthy skin and hair; cancer fighting), vitamin D (bone health! ), and omega-3 fatty acids (essential for body processes and heart health) (The World’s Healthiest Foods). 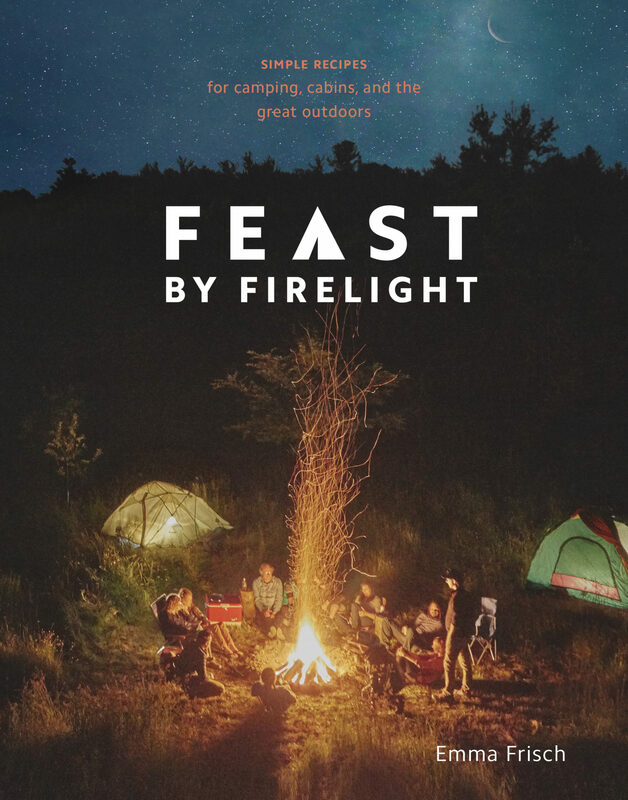 Chef, writer and sustainable-seafood advocate Barton Seaver suggests we increase our intake of little wild fish, such as anchovies and sardines, while avoiding larger predators, like tuna and swordfish. It’s good for our health and for the oceans. Forage fish, as these plankton-eating species are known, are cleaner; because they have short life spans, pollutants don’t have time to build up in their flesh. And they’re more plentiful. 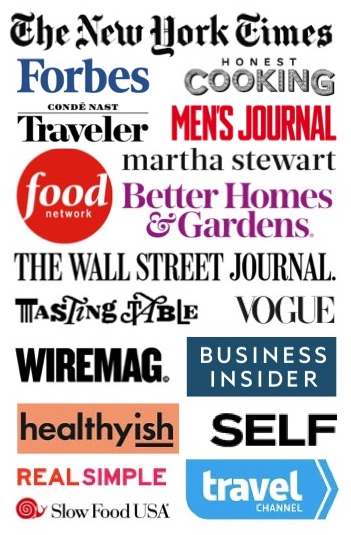 Forage fish are what the oceans most easily provide (Martha Stewart). 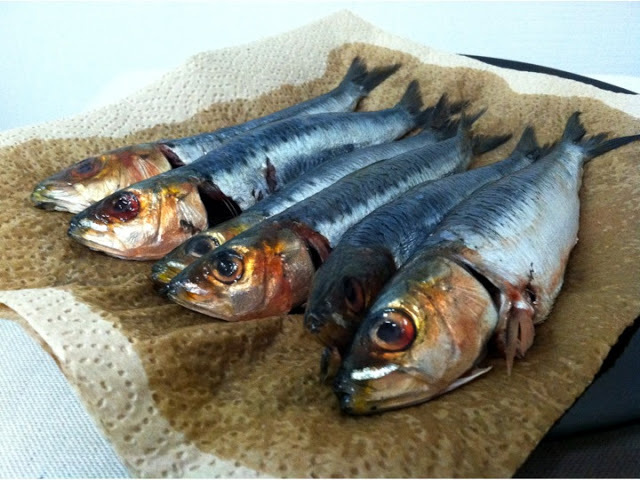 Rinse the sardines and pat them dry with paper towel. Melt the butter in a large frying pan. Add the onions and vinegar and saute until they are browned. Remove the onions from the pan and remove the heat from the pan. 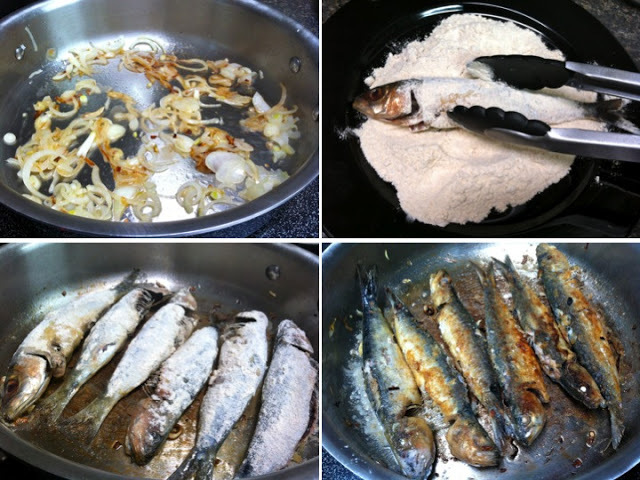 Spread the flour on a plate and using tongs, "dredge" (lightly coat) the sardines in flour. Melt another teaspoon of butter in the pan and spread it evenly in the pan. 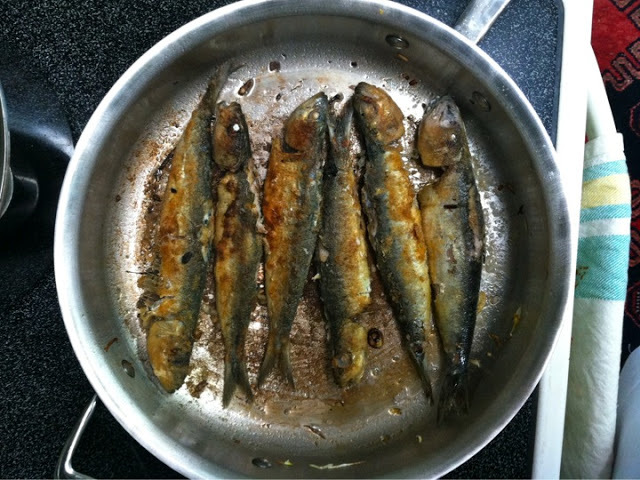 Transfer the sardines to the pan and cook them until they are browned and crisp on each side. 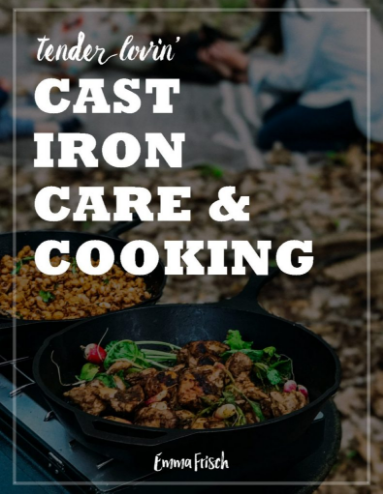 Tuck a fork into the thickest part to check that the meat is flaky and cooked (the meat it will range from a cream-white to a tan or greyish color). 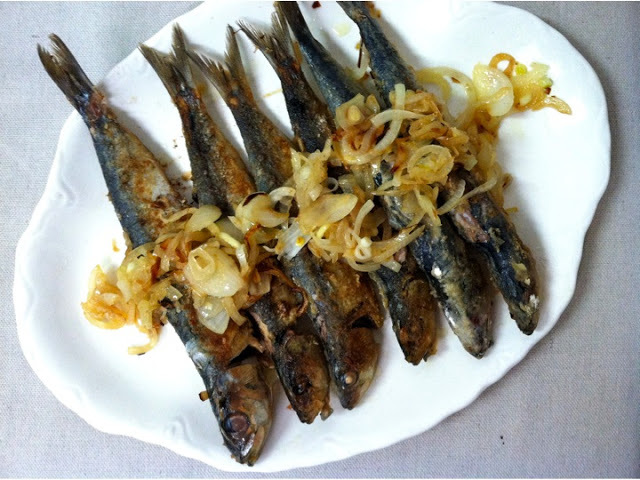 Remove the sardines and top with the onions for serving. You can add a dollop of sour cream or plain yogurt!